Is There Room For Smartphones Beyond Android And iOS? : All Tech Considered Between them, Google Android and Apple's iOS account for more than 90 percent of U.S. smartphone sales, with Windows Phone, BlackBerry and a few smaller players rounding out the mobile market. But the tech world never stands still and other players are making a run for a piece of the growing mobile pie. 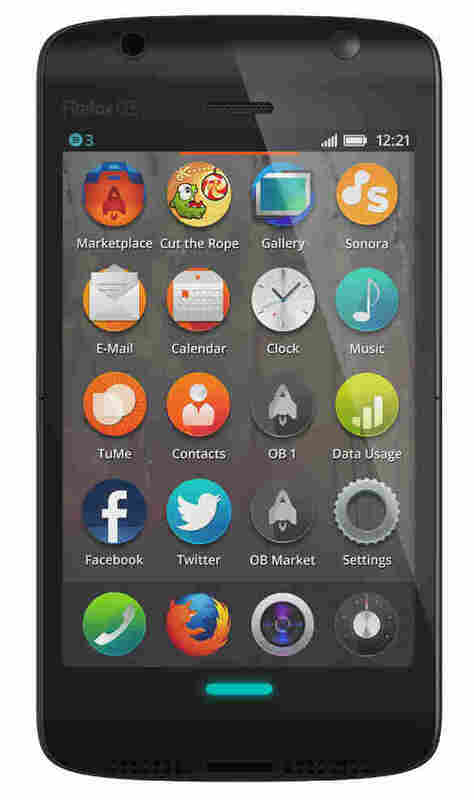 Mozilla hopes to break into the smartphone market with its Firefox mobile operating system. Between them, Google Android and Apple's iOS account for more than 90 percent of U.S. smartphone sales, with Windows Phone, BlackBerry and a few smaller players rounding out the mobile market. But the tech world never stands still and other players are making a run for a piece of the growing mobile pie. Mozilla, the nonprofit that makes the Firefox browser, has unveiled a long list of telecom company partners that have committed to selling phones running the company's new Firefox mobile operating system. In the United States, Sprint is on board, but Mozilla's announcement means that despite the odds it has a shot to become a real player in this space. Mozilla is developing a mobile phone to compete against Microsoft Windows and BlackBerry for the third choice in the mobile ecosystem. ZDNet notes that the Mozilla plan is to "bring an open-source, low-cost operating system to emerging markets." "Trying to make an iPhone killer doesn't address the majority of the market," Andreas Gal, vice president of mobile engineering at Mozilla, told ZDNet. "Of course we're interested in covering the entire space, there's no reason the Web can't be used to build high-end phones, and we will make those phones over time." Unlike any of its larger rivals, Mozilla's device wouldn't lock up content in apps stores but would be designed to run software running on websites. This is a kind of geeky distinction — but it means apps for this phone won't live in a walled garden like the Apple App Store (or the old America Online — remember that?). They'd live out in the wild. Smartphones based on Ubuntu, a Linux-based operating system, are expected in 2014. For users and developers what it would mean is that Web apps built for this phone wouldn't have to be approved by a gatekeeper — say, from at Apple. And commercial apps and publishers wouldn't have to spilt their revenue with the company that created the ecosystem. Mozilla's not alone in trying to squeeze into the smartphone market. 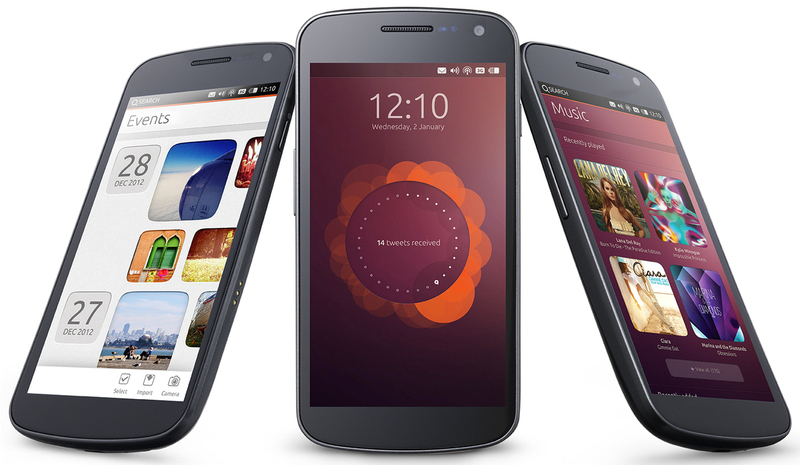 A British company named Canonical is developing smartphone and tablet versions of Ubuntu, its popular Linux-based operating system. 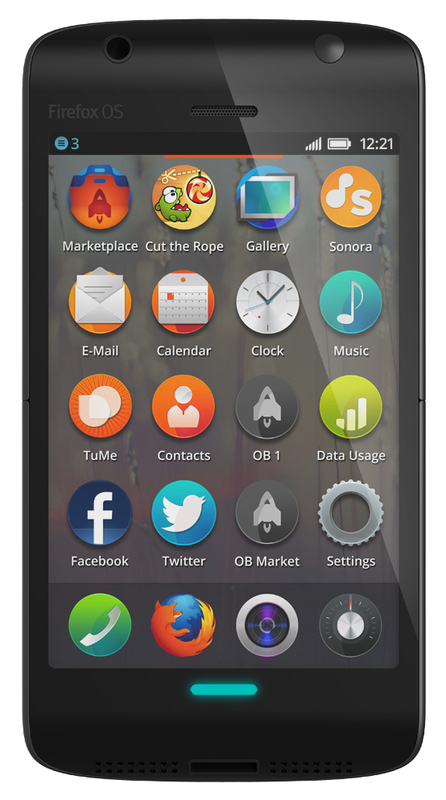 The first Firefox phones are expected later this year, while Ubuntu phones reportedly won't be available until 2014. NPR's Avie Schneider contributed to this post.